Rogue Women Writers: A Brilliant Woman -- but who knew? A Brilliant Woman -- but who knew? Today I want to tell you the story of a brilliant scientist who, for decades, was recognized only for her beauty, not her intellect. But first I want to let you know that one of our own talented Rogues, August Thomas, author of a terrific debut thriller, Liar's Candle (get it here ) is taking a break from writing articles for us. She offers this note: "I'm bowing out of the blog, at least for a while, as I work on a new project." Good luck August - hope to have you back soon! Now a bit of history about an incredible woman, underestimated and "under-appreciated" for decades...a woman who was known only for her looks. As for her intellect, people would pay no attention. And yet her inventions gave us technology that we all use today. 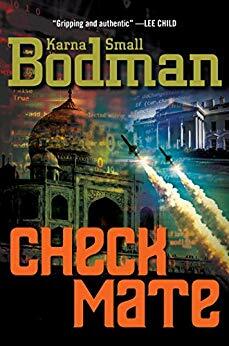 Some of this woman's ideas inspired my very first thriller, Checkmate, about a female scientist with a new invention that, at least initially, no one would take seriously. The true story begins back in Austria in the 1930's. Known as Hedwig Kiesler, she married the wealthy industrialist, Friedrich Mandl. Reputed to be a fervent fascist, he endeavored to contact several Nazis including Hermann Goring in an effort to sell his wares to Germany. He had many dinners at his spacious "palace" and often included his beautiful young wife. 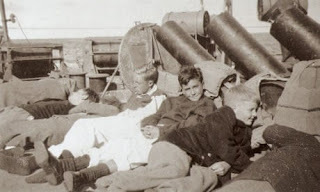 As she was always the only woman in the room, the men would admire her, but otherwise pay no attention as she sat quietly absorbing the conversation about munitions, torpedoes and guidance systems. 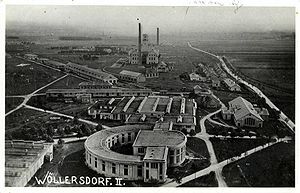 After all, there was a lot of planning and production going on at Mandl's famous factory along with Nazi war plans that were discussed at these events. It turns out that she didn't like the arms dealers. She came to truly dislike her husband too. But he kept a close eye on her, or had the servants track her activities. So she devised a plan where she drugged the maid, escaped the palace, made her way first to Paris and eventually to this country. As events of World War II claimed more lives, she watched as the Nazis used their guidance systems to target the American navy; and she was completely distraught when she learned about the sinking of the ship Benares that was evacuating 90 British children to hoped-for safety in the United States. Of the 90 little ones, only 8 were rescued by a passing ship. 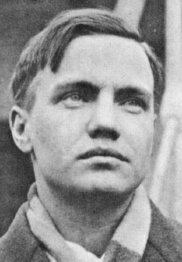 So horrified by these attacks, she got to work on a number of ideas and began a collaboration with well known concert pianist and friend, George Antheil. She told him that the Nazis were obviously able to decipher the frequencies our ships were using to communicate, thus locating and targeting our vessels. She had come up with a new system of communications - using "unjammable" frequencies- her plan was for them to switch back and forth so quickly, the enemy would never be able to track them. 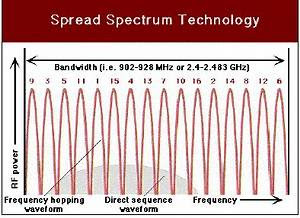 She called it "Spread Spectrum," got a patent on the idea and offered it to our military. But once again, people would pay no attention. After a while, her patent ran out and she never received any money for her work even though many years later this technology was adopted and began to be used in military applications. More recently it became a key feature in cell phones, Bluetooth and many other items we all use today. Among her other inventions - where no one would pay attention at the time - were improved traffic lights and a better design for the Concorde. So who was this woman with the mind of a brilliant scientist, but was known only for her beauty? She had changed her name from Hedwig Kiesler to....Hedy Lamarr, often dubbed "the most beautiful woman in Hollywood." Though, as noted, she never made any money from her invention of Spread Spectrum or any of her other designs, it took until 2014 (14 years after she died) for her to be "officially" recognized and inducted into the Scientific Hall of Fame. Her incredible story is told in the new novel....aptly titled The Only Woman in the Room, written by Marie Benedict, an author who has chronicled other important figures from history who were unrecognized for their efforts. 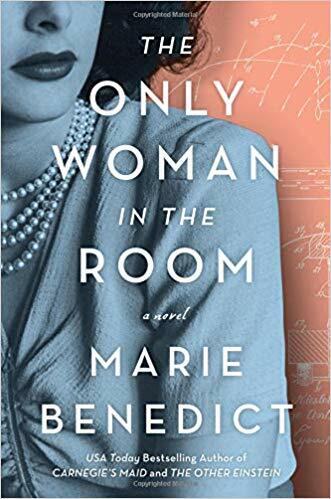 In this book, which hit The New York Times Bestseller list just last week, the author asks, "Does this history reflect the decades old marginalization of women's contributions? Are there still many misconceptions about women's work and ideas?" You bet -- although, to be fair, many talented women are now - finally - being given their due in industry, politics, and Hollywood, though we still have a long way to go. Now, would you like to tell us about women you know or have read about who were under-estimated or "under-appreciated" for their efforts? Leave a comment here or on our Facebook page (see the icon at the upper left)….and thanks for visiting us here on Rogue Women Writers. This is fascinating, Karna! I suspect there are many women who fall into this ignored category in the past and today. It's a sad truth. Sort of harkens back to why many women use initials in writing books. Men won't take them seriously if they think the book is written by a woman. I remember this story about Hedy Lamarr, Karna, but I never had all the background. Thank you so much for this wonderful blog about an early Rogue. Every time I see a beautiful woman with brains, I smile because now she doesn't have to hide how smart she is, and often she's actually respected for her intellect. Hedy Lamarr was among the earliest, and deserves a best-seller biography! Heddy Lamarr was so inspiring! Wish she could have lived long enough to know that she was inducted into the hall of fame. I read an article about her a year or so ago. Fascinating! She was brilliant, and her work truly helped shape today's modern military. Thanks for sharing her story. I knew this story—my husband used to live on The History Channel—But it’s one I can’t get enough of! This makes me crazy. I went to a lecture by James Watson once, who won the Nobel Prize based on much of Rosalyn Franklin's work (she did not participate in receiving the Nobel Prize). Watson was asked a question about her and he snickered and said she didn't have a very good personality--as if that was the only thing that mattered. I knew the story about Hedy Lamarr, but I'm sure the book will add things I don't know. And as an aside, I was at a meeting this weekend with another "only woman in the room," a ground-breaking woman in the movie industry, now a long-time mystery writer, Rita Lakin. She was talking about another book coming out with the same name as her book--The Only Woman in the Room. It's a wonderful book, too. She laughed and said she hoped a few people bought hers, too! I highly recommend it.